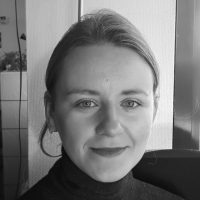 Elena Polivtseva is Communication and Policy Manager at IETM – International Network for Contemporary Performing Arts. Before joining IETM, she worked in the corporate sector and international NGOs. She holds a diploma in EU non-profit advocacy and negotiation, and a Master’s degree in European Studies (Université libre de Bruxelles) and International Relations (Tomsk State University).